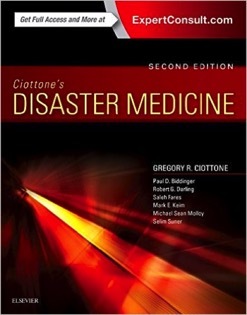 I am a section editor for this superb book on disaster medicine. Kathleen and I wrote 9 chapters in this book. BDLS® is targeted to multiple disciplines including emergency medical service (EMS) personnel, hazardous materials personnel, public health personnel, and health care providers. 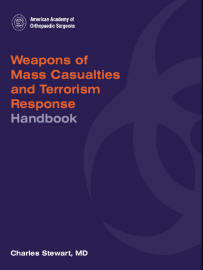 The goal of teaching multiple disciplines simultaneously is to develop a commonality of approach and language in the health care community, improving the care and coordination of response in Weapons of Mass Destruction (WMD) disasters and public health emergencies.The BDLS® course is a review of the "all-hazards" topics including natural and accidental man-made events, traumatic and explosive events, nuclear and radiological events, biological events, and chemical events. Also included is information on the health care professionals’ role in the public health and incident management systems, community mental health, and special needs of underserved and vulnerable populations. 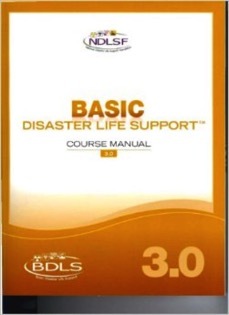 The recognition and management of the disaster scene and victims are reinforced through a unique approach, introduced in the Core Disaster Life Support Course® called the D-I-S-A-S-T-E-R Paradigm™, which helps to organize the students' preparation and response to disaster management. The paradigm emphasizes an "all-hazards" approach to mass casualty incident management and facilitates ongoing qualitative and quantitative assessment of an incident. I spent 5 years writing this book. The book has a lot of information - open source - but not easily available - that simply isn't available in other texts...It is NOT just another wannabe digest of the military publications, this book is the distillation of over 20 years of research and teaching about these weapons. For example... 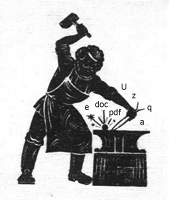 Try and find the Novichok agents in a government-sponsored textbook... (They were covered in congressional hearings, but aren't in any government-sponsored texts on chemical weapons.) Check out chapter 3. Another example... a protective agent/treatment agent for CN ("tear gas") exists... Try to find this without reading the book - Check out chapter 6. Third example... What are the doses of treatment agents for children? Not covered in most texts.